From this issue, we will start the new AvaraNa series – sapta mAtRus. 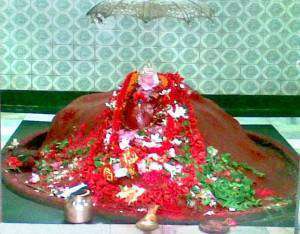 The legends of sapta mAtRu are anAdi and can be seen thoughout the South Asian and East Asian countries. 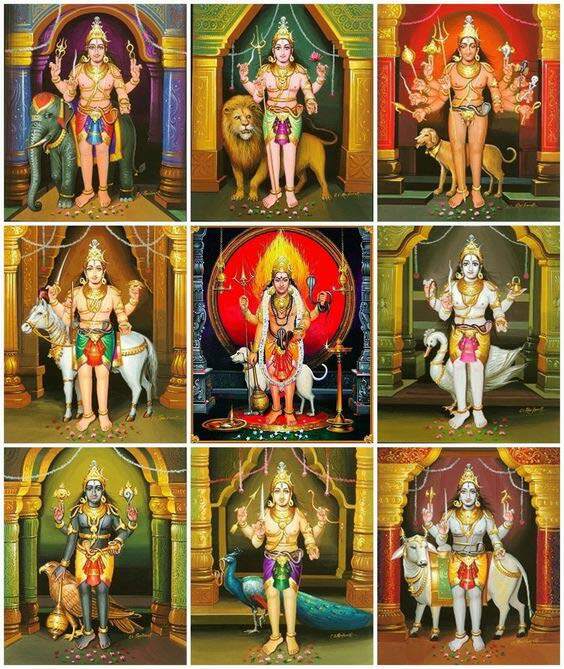 They are included in various purANAs and are very common iconographies in the South Indian temples. 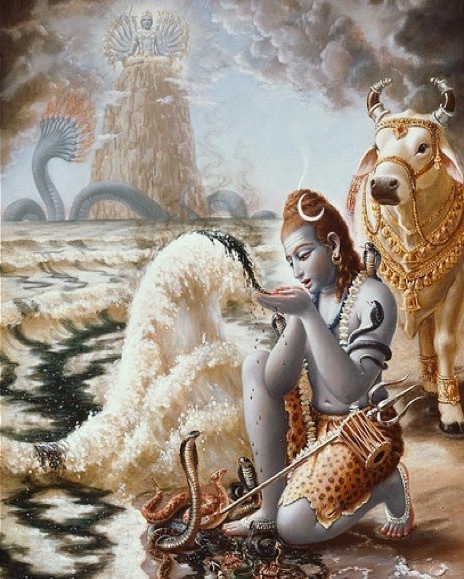 They are very prominent in the dEvimahAtmyam (mArkaNDEya purANA) and their appearence, valour, and stutI are detailed between the 8th and 11th chapters. 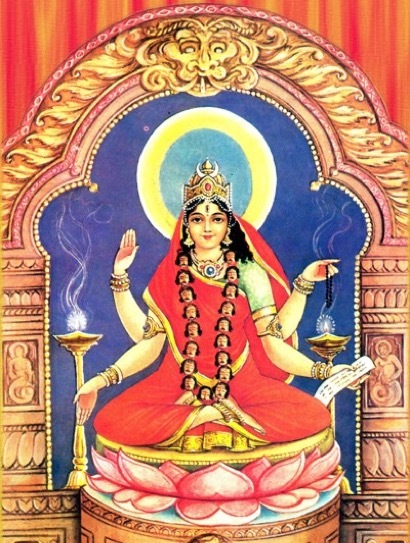 They also appear as AvaraNa dEvatAs for many shrI vidyA pradhAna dEvatAs. They appear in the first AvaraNA of the lalitA navAvaraNa. 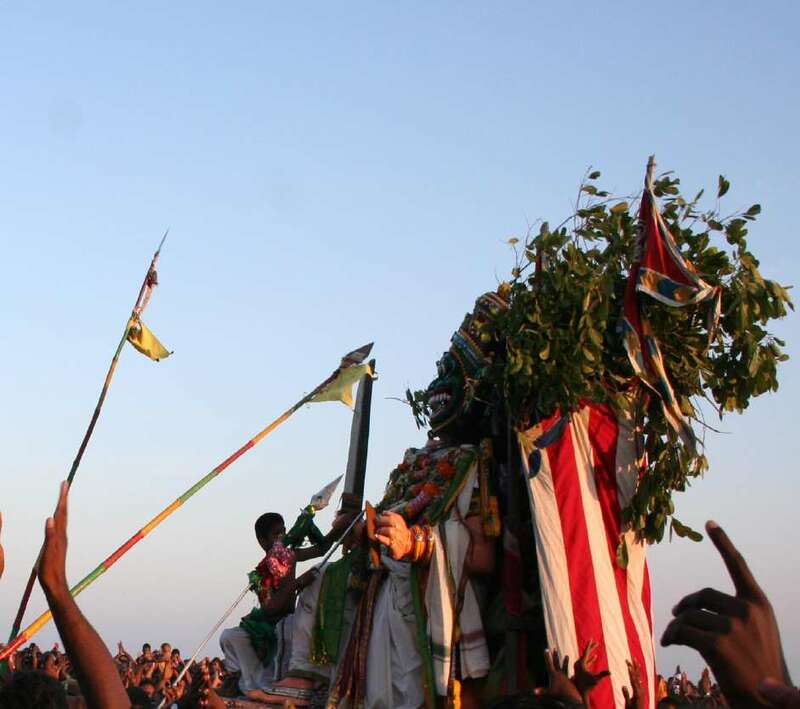 In the shri vidhyA kramAs, they are considered as ashTa mAtRus and are linked with aShTa bhairavAs. In this issue, we will be covering the first two mAtRukAs – brAhmi and mAhEshvari. The mantra japa krama, AvaraNa pUjA kramA, and the aShTOttara shata nAma stOtra for these dEvatAs are included in this issue.